For most of us in the Pacific Northwest we are dealing with very hot temperatures right now. In fact, most of us are dealing with blistering heat around the country. That means one thing, time to cook outside on the grill! If you know me, I don’t need an excuse to grill, but the heat is certainly gives me more reason to grill. I don’t know about you, but we have a hard enough time keeping cold air in, so not adding more hot air is paramount. I try to do as much as I can on the grill and use the stove/oven as little as possible. Again, I love to grill so it works out. I was making dinner the other night and I started thinking about how to do one of my favorite sides, brussel sprouts, on the the grill. I knew it could be done, but like so many things, there are a billion ways to prep these little gems. Luckily it is super simple to make these into a perfect side dish. First, turn your grill to medium heat and let the grill come up to temperature. Meanwhile, trim and prep the brussel sprouts. Can’t remember how to handle them? No problem! Just click here for a quick refresher course on how to get these ready to cook. Just look for the section featuring our little friends and you will be set to go. 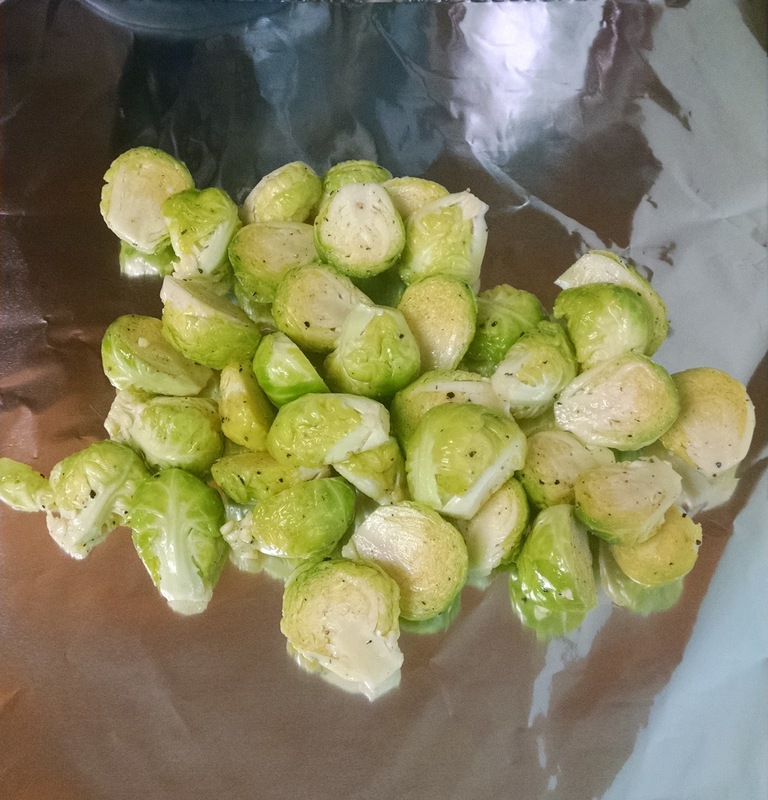 Next, place the brussels in a bowl and toss with 2 tablespoons olive oil, a few pinches of salt, fresh ground pepper to taste, and any other seasonings that you like. I like to use a little garlic salt or a spicy pepper blend to give these a little bit of a pop. Try adding a teaspoon at a time and taste as you go to make sure you are happy with the flavor. Once you have combined everything together, throw them onto some foil, thusly. After that, place this on the grill and cook for about 10-12 minutes. 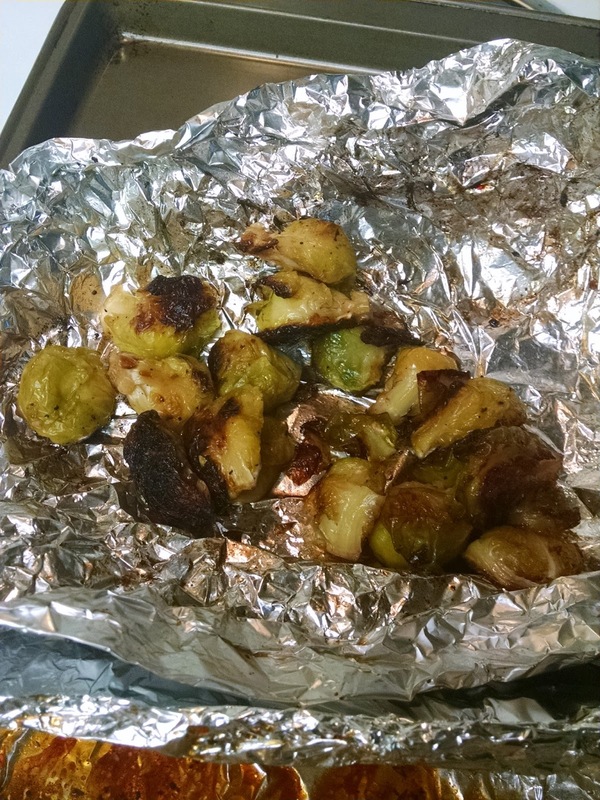 The cooking time will depend on how big the brussel sprouts are and if you are getting consistent heat. Make sure to keep on eye on these and stir every few minutes to keep them from burning. You want to get color on them, but you shouldn’t be getting little nuggets of coal. It isn’t Christmas quite yet, but hopefully you have all been nice and not naughty boys and girls. Once you are done applying the heat, you should have something that looks like this. It is that simple! They are really good! They are soft, a little crispy, with some nice char from the grill, and they get a little sweet as they cook through. Just keep in mind that brussel sprouts tend to absorb the oil and seasonings like little sponges, so you might have to season a little more heavily than you normally would. Or, if you prefer, you can adjust the seasoning after they are done cooking. That is totally up to you. I season heavily before I start and then I adjust as needed. You will love these, I have no doubt! This is a cooking method that I will come back to time and time again! Try to stay cool and hydrated out there!